Since 2001 Hatzolah of Los Angeles has served the community to help every person who needs medical care no questions asked. 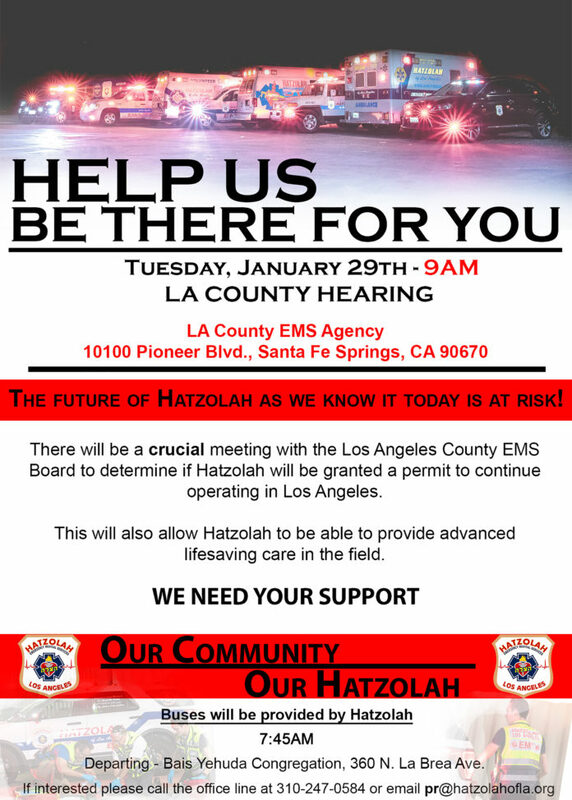 This has angered several local agencies because they think Hatzolah is a threat to what they do. Please show your support at this very important meeting. If you are unable to attend, please help us by signing this petition.